This coming Sunday is Stir Up Sunday, the day when, traditionally, the nation mixes up the ingredients for their Christmas pudding. 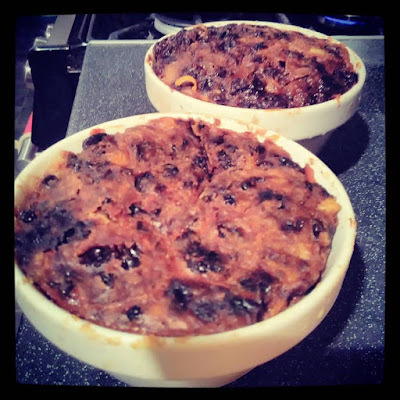 We have been a bit eager so we made our Christmas Puddings this Sunday instead. For the first time, the girls are genuinely looking forward to eating them! Last year's puddings lasted us several months and so the girls have come quite accustomed to eating a steamed fruit pudding after a roast dinner, even when it isn't Christmas time! This year the girls very much joined in with Stir-Up Sunday with some new kitchen equipment from Poundland - a showcase of their Jane Asher's Kitchen cookery range. Our Christmas Pudding Recipe is fairly traditional - packed full of dried fruits, Christmassy spices and a little bit of citrus running through it. We used cold grated butter instead of suet to help add fat and bind it all together. Holly thought it was hilarious that we used grated carrot in our Christmas pudding! The girls mixed up all of the festive ingredients in a medium mixing bowl from the Jane Asher range - I can't believe that bowl is just £1 (as are all the other pieces from the full Poundland Jane Asher kitchen range). We sieved, we chopped, we measured, we stirred and we squished and then cut circles of Jane Asher greaseproof paper to place on top. We popped the puddings into a pan of water to steam for nearly six hours. We even ate one of the puddings with homemade custard for dinner after a traditional Sunday roast - it was light and yummy and really made me feel ready for the festive preparations. Of course, if you don't want to chop and steam and mature your own Christmas pud, you can always cheat a little bit and buy a ready made Jane Asher Christmas pudding for just £1 from Poundland! After we had created our Christmas Puddings we set to work on our Christmas Cake which is going to be a light fruit cake. Armed with a Jane Asher cake board and carry case (both just £1 each!) we will complete the cake next weekend and leave to mature for a few weeks before I ice it...that gives me a few weeks to work out how we should decorate this year's cake.